I hope everyone had a lovely fourth of July! Instead of standing/sitting/being squashed in a seething mass of Seattlites to watch fireworks set off over Lake Union, this year Stephanie and I opted to do something different. 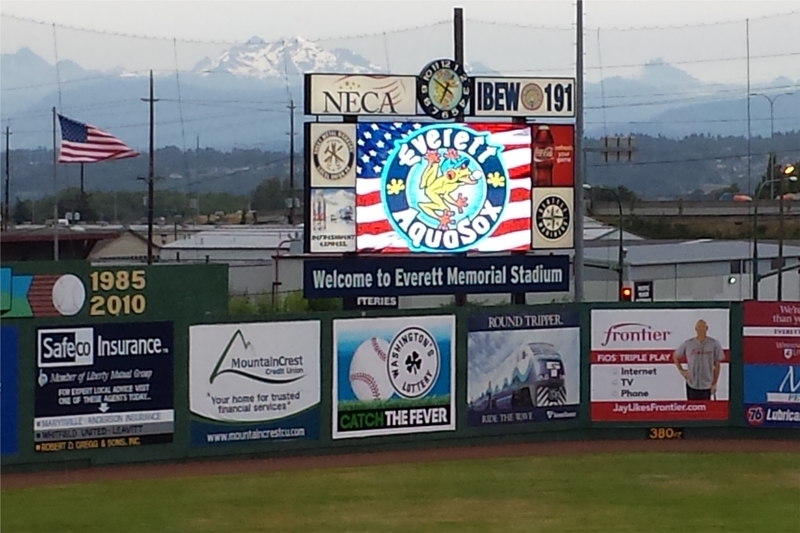 We bought tickets to go see the Aquasox (the single-A affiliate of the Seattle Mariners) play up in Everett and watched their fireworks display instead. Somewhat unfortunately, despite the forecast for a 0% chance of precipitation, it actually rained on and off for most of the game. 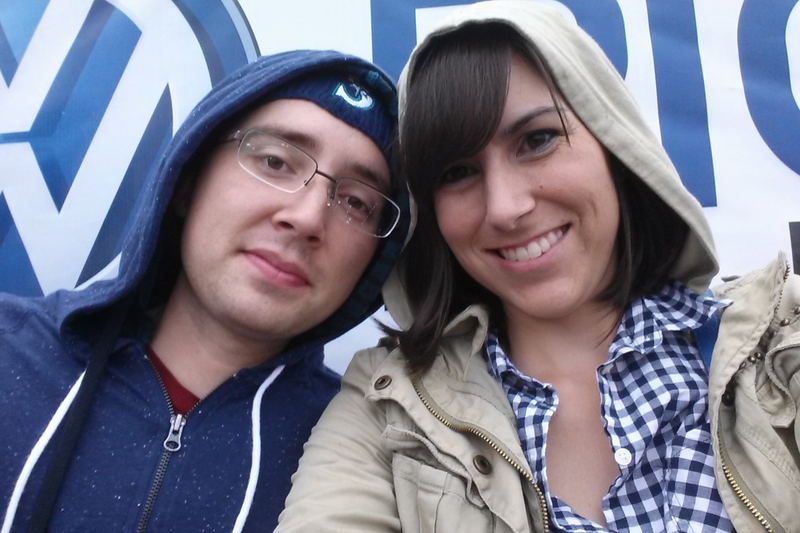 We did not dress accordingly… so we got a little soggy. The Cascades provided a picturesque backdrop to the baseball game. The baseball game featured a lot of good pitching/defense, so the action moved along at a surprisingly quick pace. 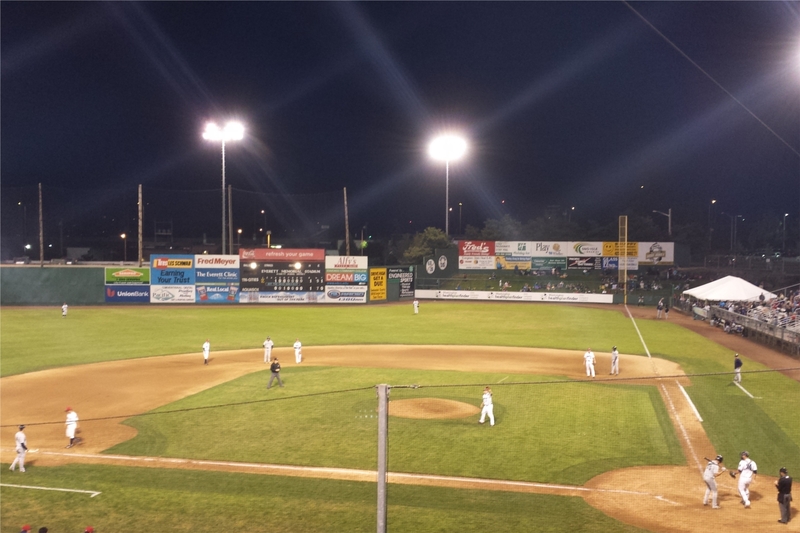 Despite going into extra innings (the Aquasox lost 2-1 in the 11th), the game took almost exactly 3 hours. Fireworks started promptly 15 minutes after the game ended. The display was a little on the short side, but our visibility was unobstructed and the wind was blowing favorably such that we didn’t get inundated by tons of smoke. Also, they had a ton of those crackly fireworks, which cascade down with a bunch of satisfying pops after they’re set off. Those ones are my favorite! All in all, it was a nice way to spend the Fourth of July.